BMG is delighted to announce the launch of Trojan Jamaica, a new frontline label working directly with BMG to bring newly produced, Jamaican-made music to the world. 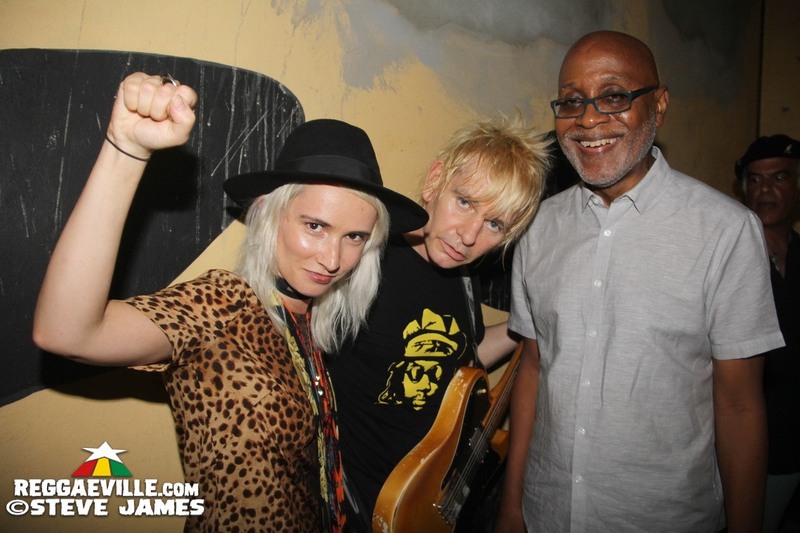 Trojan Jamaica is the result of a partnership with renowned musician/producer Zak Starkey and his partner, artist/musician/producer Sharna “Sshh” Liguz. Based in Jamaica, the label will reflect not only the island’s rich musical history, rooted in Africa, but American soul and blues. BMG is both co-funding the Trojan Jamaica label and has licensed the name for use from its famed Trojan Records label for the new venture. While some of the artists overlap with the Trojan Records catalogue, Trojan Jamaica is an entirely standalone frontline label. The label’s first release is slated for Spring 2019. The genesis of Trojan Jamaica came when Kingsley Cooper, curator of the Peter Tosh Museum in Kingston, saw a video of Starkey and Liguz’s musical project SSHH performing of Get Up Stand Up and invited them to perform at the opening ceremony of the museum in October 2016 [see photo below]. Their performance in turn led to another invitation the following year to the second annual Peter Tosh tribute concert. Starkey and Liguz later opened a recording studio in Ocho Rios and began working with legendary and contemporary artists, including Toots & The Maytals, Freddie McGregor, Big Youth, Sly & Robbie, U Roy, Mykal Rose, Ziggy Marley, Andrew Tosh, Tanya Stephens, Jesse Royal, Ce’Cile, Rygin King, Santigold, Shaggy and more, in order to create new music. About BMG: BMG is the new model music company founded by Bertelsmann in 2008 as a direct response to the challenges of music’s digital revolution. Key to its innovative approach is the fact it represents the traditionally separate music publishing and recording rights off the same state-of-the-art platform internationally. BMG is already the world’s fourth biggest music publisher and the first new global player in the recordings business in decades.